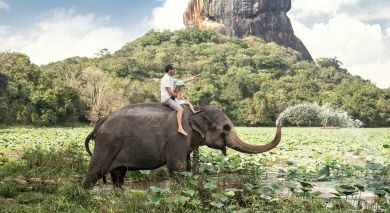 Located 80 km south of Columbo – a scenic two hour drive via a costal road, Balapitiya offers an authentic Sri Lankan experience. This small, visually pretty traditional fishing village, with golden sandy beaches, remains relatively unaffected by mass tourism. Notice tiny fishing hamlets smattered across the beach borders. Explore nearby attractions like the historical Galle city and the famous mask carvings of Ambalangoda. 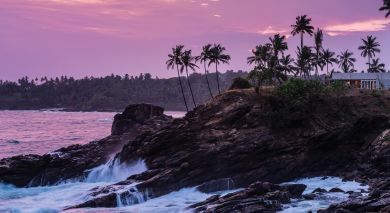 Surfing enthusiasts can revel in Hikkaduwa’s wave paradise. Blessed by year-round warm sunny weather and calm clear waters, Balapitiya is a haven for swimming, snorkeling and diving. Kids can revel in the natural rock pool, while sweet water lagoons and the Maadu river are great to explore. Splendid flora and fauna and a myriad of avian life, attract eco considerate guests and birdwatchers to scenic Balapitiya. Spectacularly set amidst gorgeous Indian Ocean vistas and strung along the sandy coast of Balapitiya's fishing town, Michelle Boutique Hotel is stylish and contemporary. 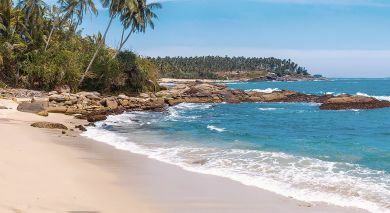 Located 140 km from Bandaranaike International Airport and 77 km from Fort City Galle, the Shinagawa Beach Hotel boasts a private beach area with unhindered sparkling vistas of the Indian Ocean. Kosgoda Turtle Hatchery where you can see five different species of turtles, namely the Green, Hawksbill, Loggerhead, Leatherback and Olive Ridley awaits for a one and a half hour long visit. Villagers and fishermen collect eggs that the hatchery buys. Kept in tanks until they are hatched, the young turtles are released into the sea at night. Kosgoda Hatchery, which is supported by the Hasselblad Foundation, has released in excess of 1.7 millions of turtles into the wild to date.